Medium rare skirt steak served with truffle oil french fries and dusted with Parmesan cheese. This is an easy summer recipe for the grill and tastes amazing with a glass of Cabernet. I’m always excited when I start a new relationship with a brand, especially when it’s being an ambassador for a long term project using a product that I really love. 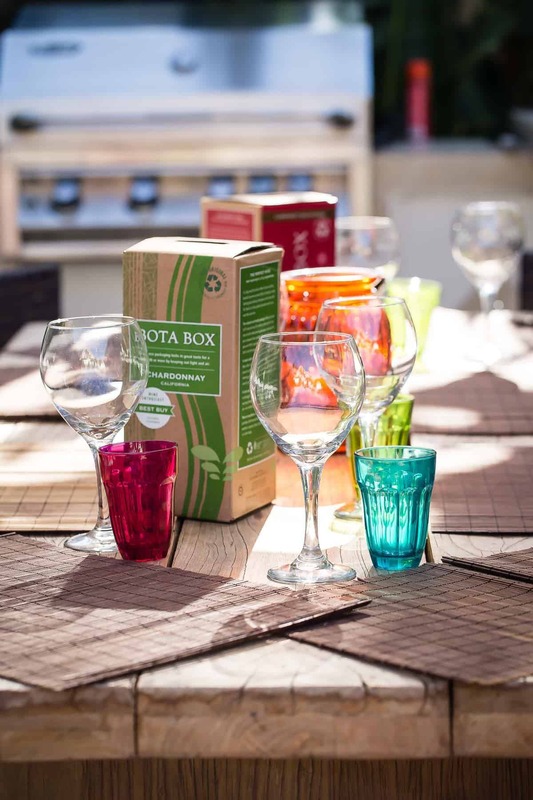 Bota Box is devoted to bringing you quality wines in a box while still being super conscious of the world we live in today and the importance of taking care of it. Now take all of your thoughts and opinions about wine in a box from the eighties and throw them out the window! This is not that type of wine. The name “Bota” gets its name from the original way travelers would carry liquids way back in the day. When you think about it, using something other than a glass bottle to take outside of the safety of your home, a box totally makes sense. Let’s talk about that box, it’s 100% recyclable and printed from unbleached post-consumer fiber. Once you flatten it, you can sneak it into the tiniest spaces in your recycle trash can, and it’s held together by cornstarch and not glue! High five to whoever came up with that. 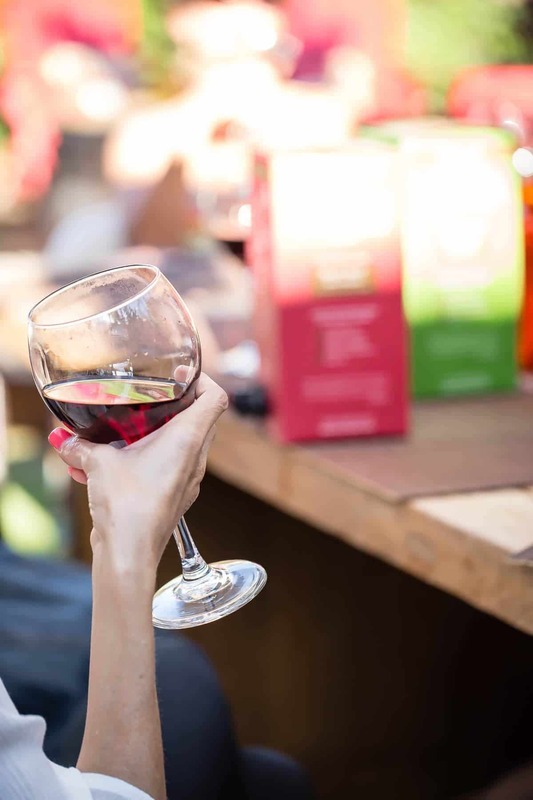 So not only does the wine make you feel good, you can also score some positive vibes by doing your part for the environment. Each box holds the equivalent amount of four wine bottles, kept fresh in a BPA free plastic bag. There’s also a smaller version of each varietal that holds three glasses, perfect for smaller getaways. 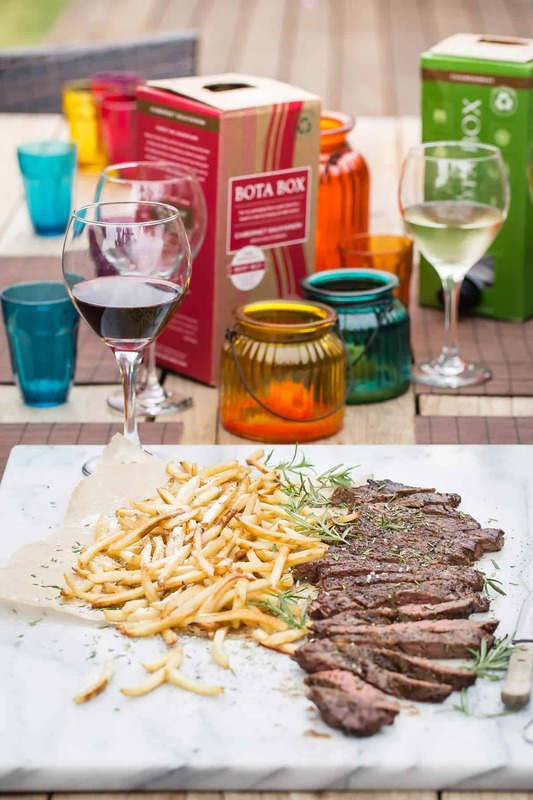 Bota Box offers thirteen varietals, and the Cabernet was a perfect match for this Skirt Steak and Parmesan Truffle Fries. I always love to cook skirt steak. It’s not that expensive and is very low maintenance when it comes to cooking it. Season it with some salt and black pepper and throw it on a mega-hot grill. Sear it for about 3 minutes on each side for the inside to be a nice medium rare. Keep the fries simple and grab some from the frozen section. 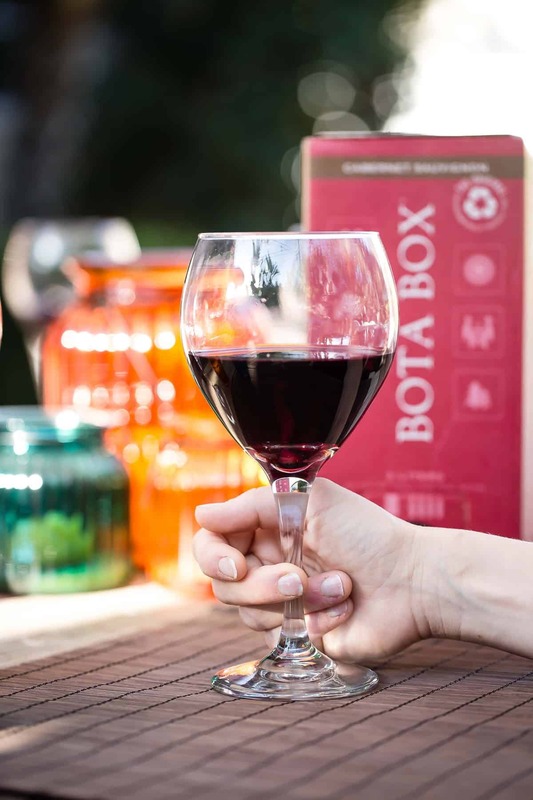 Seriously, there’s no shame and the time you saved from not peeling spuds by hand can be spent outside with a glass of Bota Box. Winner! Once those fries are golden brown, lay on the Parmesan and then a drizzle of truffle oil to end with. 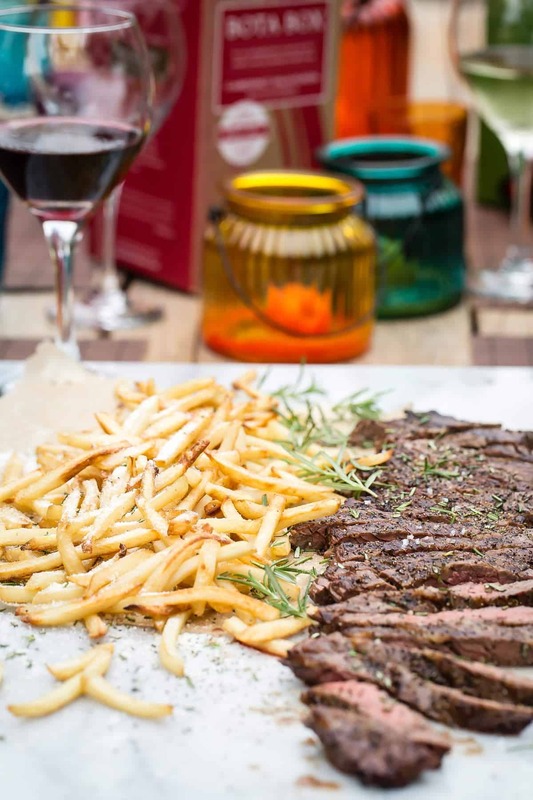 Friends, steak and fries with a glass of Cabernet is hard to beat. This post was sponsored by Bota Box. 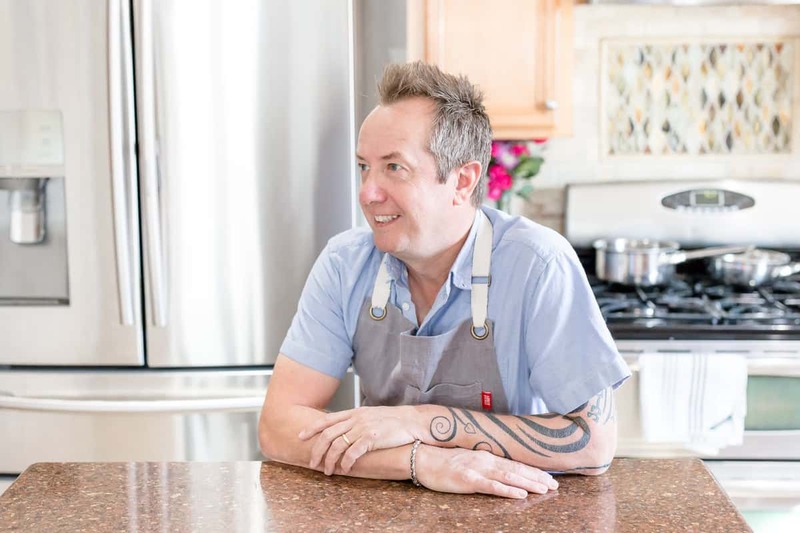 As an ambassador I’m excited to bring you recipes and fun ideas to accompany Bota Box wine. All thoughts and opinions are always my own. Juicy grilled skirt steak with truffle oil Parmesan french fries. This is best eaten with a glass of bold Cabernet on a summers day. Bake the french fries as per the directions on the package. 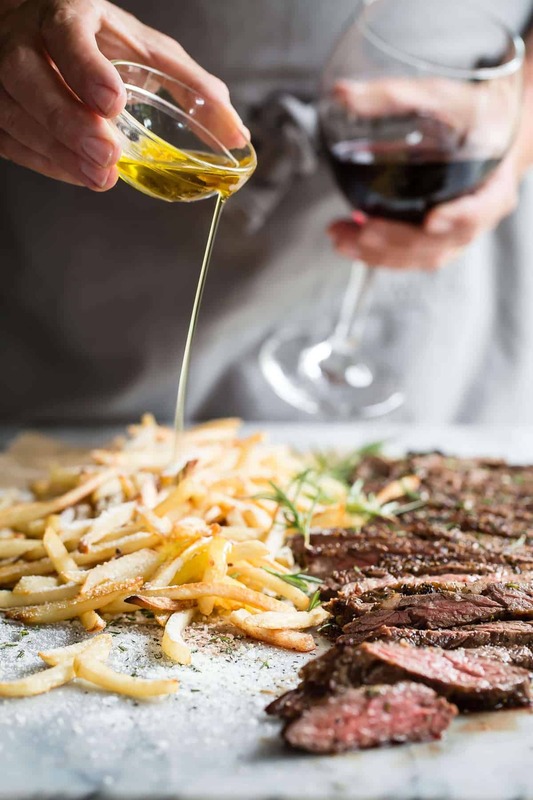 While the fries are baking, rub the skirt steak with the olive oil. Sprinkle the skirt steak on both sides with salt and black pepper. Transfer the steak to the grill and sear on one side for about 3 minutes depending on the thickness. Flip the steak over and repeat on the other side. Transfer the steak to a plate, cover with foil and let rest for a few minutes. Place the french fries on a large platter and sprinkle with Parmesan. Drizzle the truffle oil over the fries and finish by garnishing with fresh rosemary. Serve at once with a glass of Bota Box Cabernet. Man I wish we were neighbors! This looks killer! 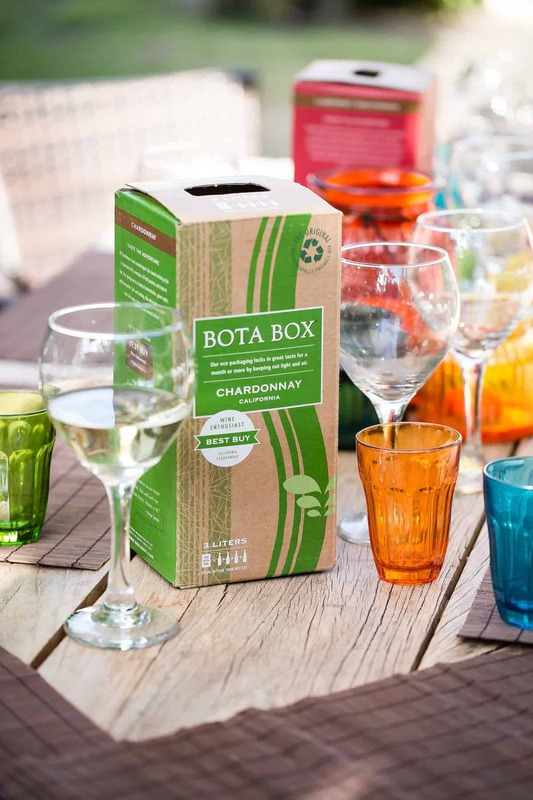 I’m a big fan of Bota Box wine so definitely adding this to the must-make list! 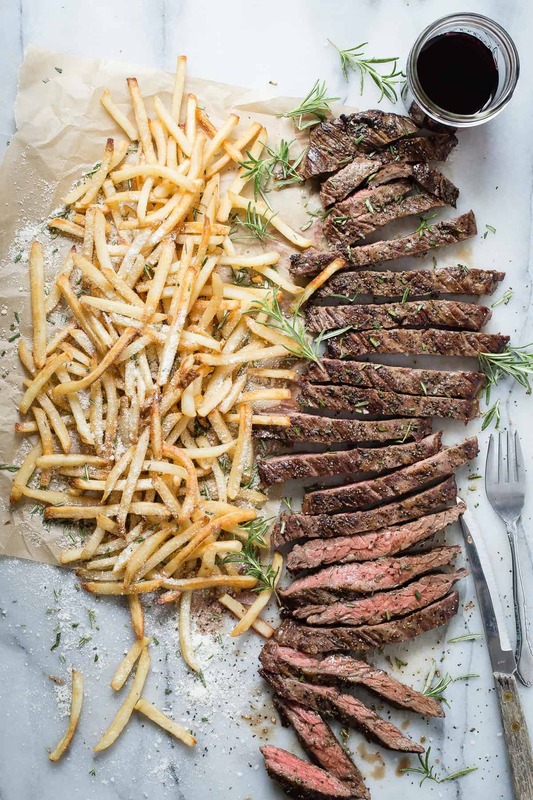 The best way possible to dress up frozen fries, and that steak looks PERFECT! 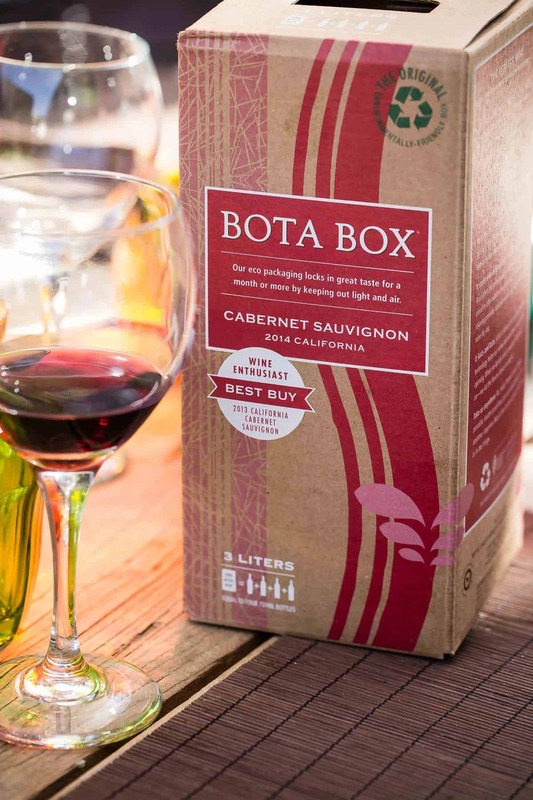 I’ve got a friend who’s obsessed with boxed wines, so I need to introduce him to the Bota Box. 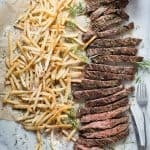 I need to make this skirt steak and truffle fries pronto and of course, to top it off enjoy a glass or two of wine, what a cute box!! Right Diane? You know it!! Bota boxes are my favorite for camping and at the poot, but I’m coming to the realization I should partake at home too! Gerry you are a total rock star. This is incredible. You’ve taken a simple dinner and elevated it to a masterpiece. I LOVE this dinner. My only complaint is I wasn’t there to share it with it. I love the convenience of wine-in-a-box for summer travels. We tried Bota for the first time last summer…love! Glad you liked it Brenda! Those fries! I don’t even need the steak, just please pass the fries ;). Sounds like a plan Brian!! This is my kind of summer FEAST! Your photos are amazing, and your food looks even better! I seriously can’t wait to try this. Thanks Dan, I appreciate that!! !